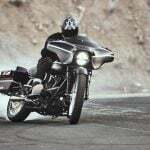 The Bluetooth wars are heating up in the motorcycle helmet communication market. Timed to occur during the EICMA 2013 show, Pittsburgh-based Cardo Systems Inc. (makers of the Scala Rider line of headsets) announced that they have teamed with Shoei helmets to design, develop and market a premium Bluetooth communication system to fit Shoei’s NEOTEC, MULTITEC, XR–1100, J-Cruise, QWEST, RJ-Platinum and HORNET-DS helmets. Dubbed the SHO–1, the unit’s “patent-protected bifurcated design” (How’s that for a five dollar word?) 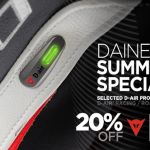 features an interchangeable battery pack and upgradable firmware. 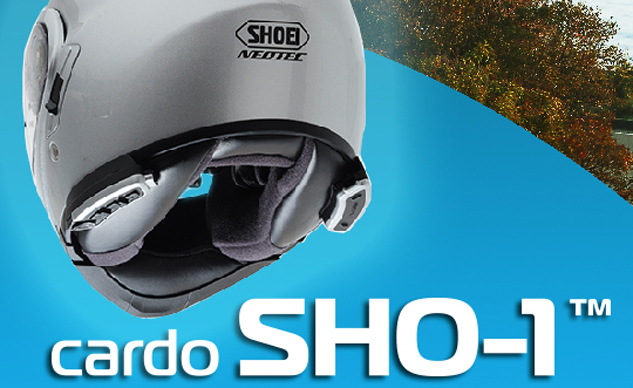 The two low-profile sections of the SHO–1 attach to the selected Shoei helmets without any mechanical clamps. 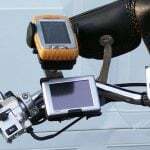 With a claimed week of standby time and 13 hours of talk time, riders should have plenty of power to communicate with up to nine riders or listen to voice prompts from their smartphones/GPS or just enjoy riding with high-fidelity music from smartphones and capable MP3 players. All of which means that, without interrupting your ride, you can call your spouse to say that you took a wrong turn and that, somehow, the only way to get home, according to the voice navigation from your GPS, is over 180 miles of twisting mountain roads — a route that, coincidentally, matches the exact length of the playlist you just so happened to finish crafting last night. Ain’t technology grand! Slated for a late 2013 launch, the SHO–1 will be available through Cardo’s sales network. 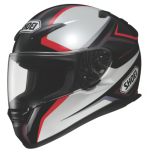 Natrually, Shoei suggests using the communicator with Shoei helmets. Find out more at the Cardo Systems website.